A Bangladeshi has won the UNESCO prize for digital empowerment of persons with disabilities. Vashkar Bhattacharjee, who works for persons with disabilities, will be given the award jointly with private-sector enterprise Tencent of China in a ceremony at UNESCO headquarters in Paris on December 3. Supported by Kuwait, the prize, named after former Kuwait Emir Jaber al Ahmad al Jaber al Sabah, will be awarded marking the International Day of Persons with Disabilities, according to a press release. It acknowledges the outstanding contribution of two laureates to the empowerment of persons with disabilities through the application of information and communication technologies (ICTs) to access information and knowledge. This will be the subject of a high-level panel discussion and keynote addresses by speakers including Lucy Hawking, vice-president of the National Star College (UK), daughter of Prof Stephen Hawking. Lucy will also open the prize-giving ceremony. Indrajit Banerjee, director, Knowledge Societies Division, Communication and Information Sector, UNESCO will moderate a roundtable discussion. Dr Adam Al Mulla, ambassador, Permanent Delegate of the State of Kuwait to UNESCO, will deliver the welcome address at the opening ceremony and Lucy Hawking, vice-president, National Star College (UK) will deliver the keynote speech. In another session, Sheikh Mubarak Jaber Al-Ahmad Al-Jaber Al-Sabah, the representative of the government of the State of Kuwait will deliver the welcome address and prize laureate Vashkar Bhattacharjee (individual category) and representative of laureate Tencent (organizational category) will also spoke on the occasion. In the individual category, Vashkar Bhattacharjee (Bangladesh), from a Chattogram-based NGO ‘Young Power in Social Action’, is a leading advocate who collaborates with local, national and international partners on the production of resources dedicated to learners with disabilities, and to the training of teachers in the use accessible reading materials. He and his colleagues established a network of employers that provides fair work opportunities to persons with disabilities. He has also organized national level campaigns on issues concerning disability and information rights. 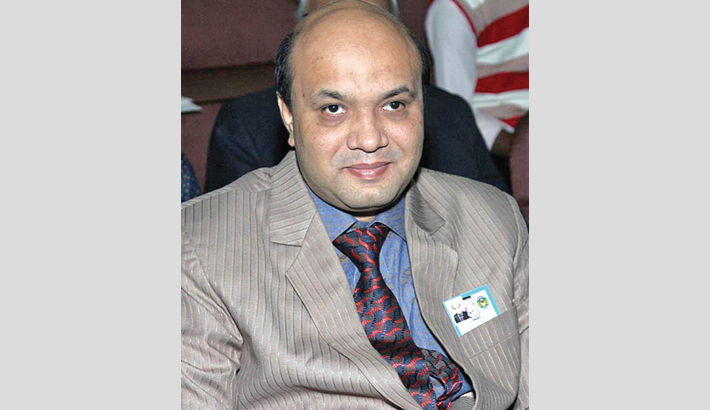 In addition, Bhattacharjee has successfully developed Bangladesh’s first Accessible Dictionary in four forms, dedicated to persons with visual, print and learning disabilities, and a special programme of self-employment through e-micro credit support for persons with disabilities. In the organizational category, Tencent (China), an Internet-based technologies and cultural enterprise, is recognized for its outstanding contribution to the empowerment of persons with disabilities by using inclusive digital technologies to provide greatly enhanced access to information. Tencent cooperates with professional information accessibility research organizations in optimizing digital technologies to advance the accessibility of information for all people. In China, Tencent products have helped persons with special needs access critical information and interact more easily with digital devices, thus improving their quality of life.